Some old and new “Friends” are still making donations to the Learning Center. We are blessed with generosity and especially the ongoing interest in the work being performed at the Learning Center. To me…it is simply a case of praying people praying…and the donors donating. We are delayed in sending out personal “Thank You” messages to our many donors. So much is going on and the time just slips by each week. Please know that with your support there are kids in class who otherwise would be home missing out on some very important education. The crucial question is to move on to Stage 2 or not to move! This is a very serious question and is paramount in our daily thoughts. I predict we will officially announce the final decision within the next few weeks. There is obvious support from Copey and I have various stateside supporters cheering us on. Some of these are potential donors. More specifically, “Friends” have been supportive as well. Thank you for your recent comments on the drawings and encouragement. Perhaps you are asking why then the delay in the decision? On the surface this may appear fairly simple to most. The amount to be raised to build the new Learning Center in the grand scheme of things may seem like not much. However, when you get deep into the nuts and bolts of this type of project, there are many parts and pieces needing to be addressed. Further complications arise since we are talking international versus domestic. Robert Frost referred to it as “the road less traveled”. I am certainly willing to confront the many challenges, commitments, and time demands this will place on me personally. As you well know, “Friends of Copey” is not a formal organization with the traditional or conventional parts and pieces which drive its existence. We are a group of like-minded friends who share a common interest. We do not have bank accounts, investors, or even obligated supporters. In short, only a very few of us will have the burden of getting this ball over the goal line once started while most will by design have the luxury of standing off in a distance watching this all move along successfully or unsuccessfully…hopefully watching and praying to be precise. So, please stay tuned in and let’s see how this all unfolds. member choir group on a musical tour. 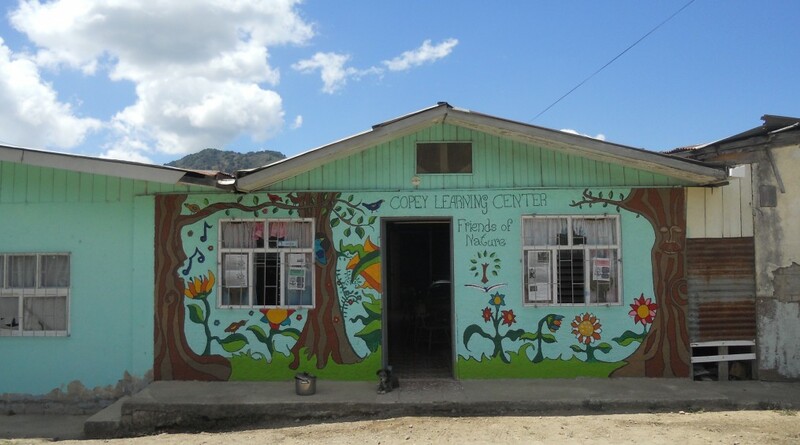 We are still hopeful Angela will be able to join the Copey students heading to Emory & Henry College in June. She is a real veteran traveler and leader. The selected Copey students are busy getting their passports and other travel preparations taken care of. Hopefully, this will all go smoothly. We look forward to these young special ladies arriving in the USA and sharing their stories about life in Costa Rica and especially the small community of Copey. We pray all goes well. ← “If You Build It…He Will Come!